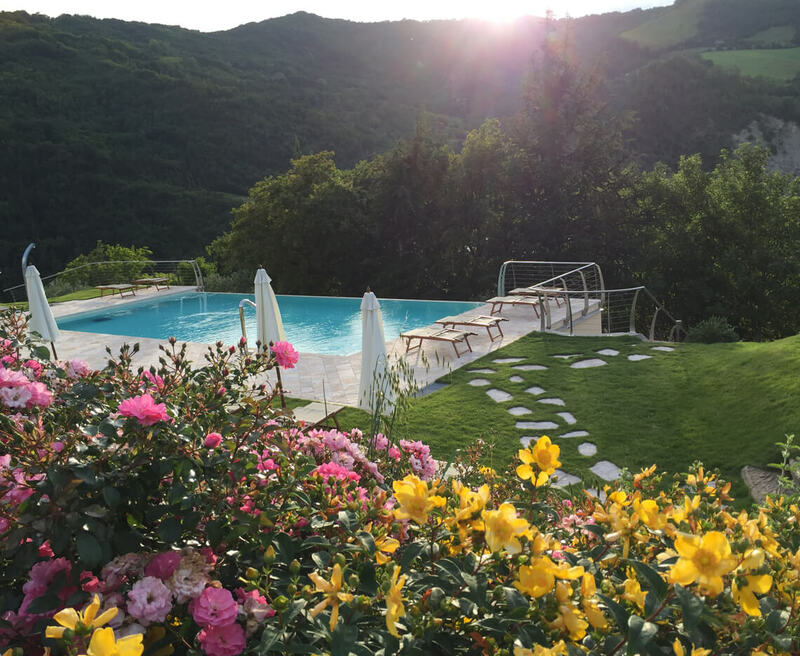 Experience a sunset in the mountains, pampered in our heated pool. 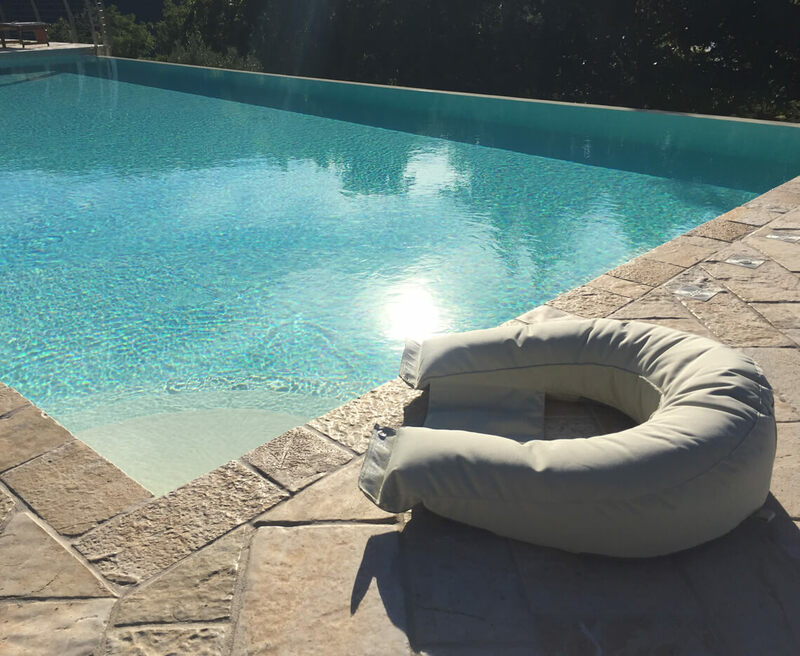 A place of complete relaxation offered to farm guests. 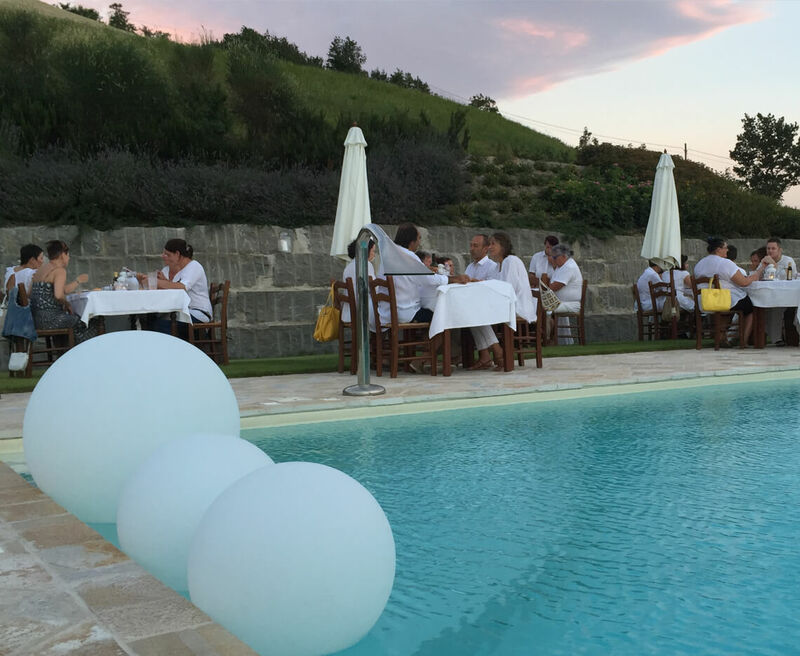 To offer a quiet and relaxing place the “traMonti” pool is reserved for guests staying on the farm and is not available for private events or ceremonies. Please take note of the user regulations of the system shown below. 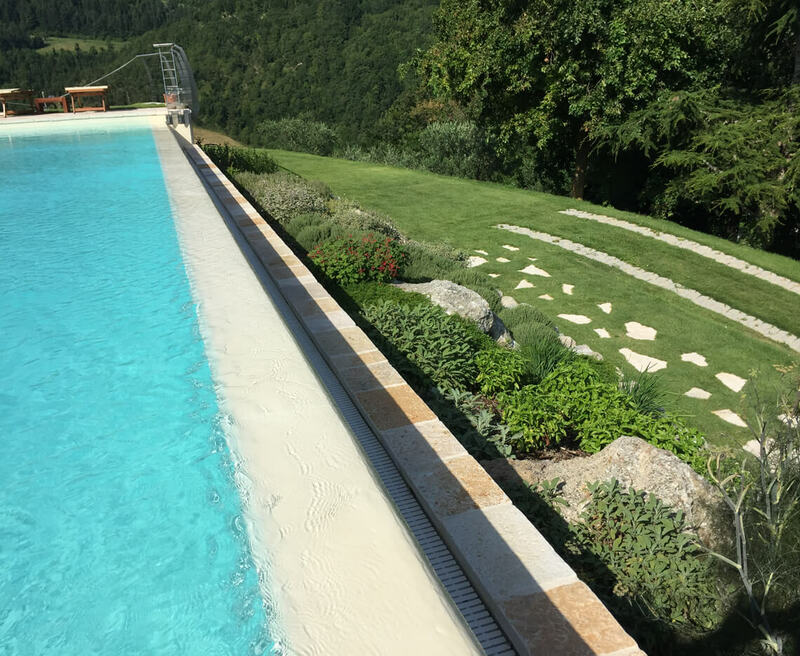 The water basin of the pool measures 6.50 x 13.00 metres with a Roman steps at a constant and regular depth of 140 cm. 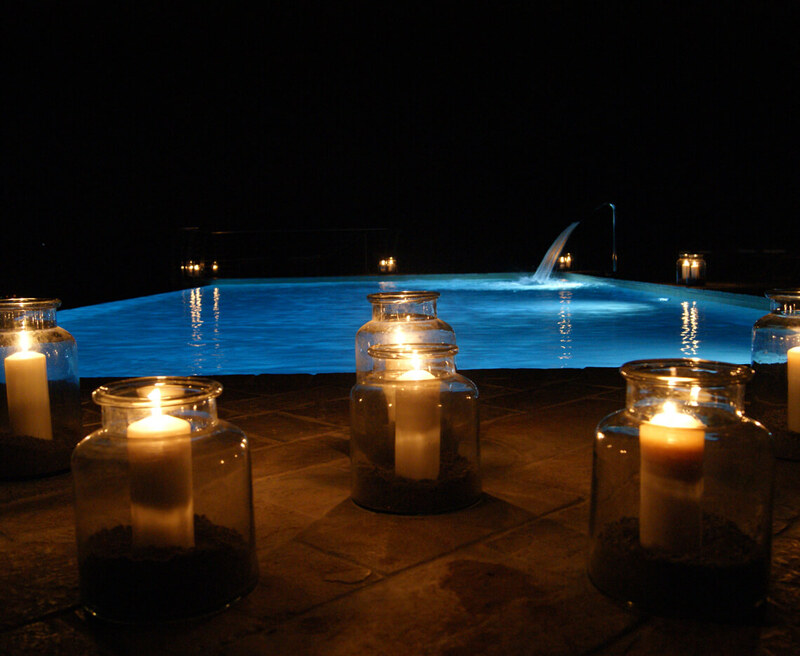 The maximum limit of bathers present simultaneously in the pool is 24 people. Hours: every day from 10.00 am to 7.00 pm. A hot shower is available up to 30 minutes before closing. Showering is mandatory before entering the pool. 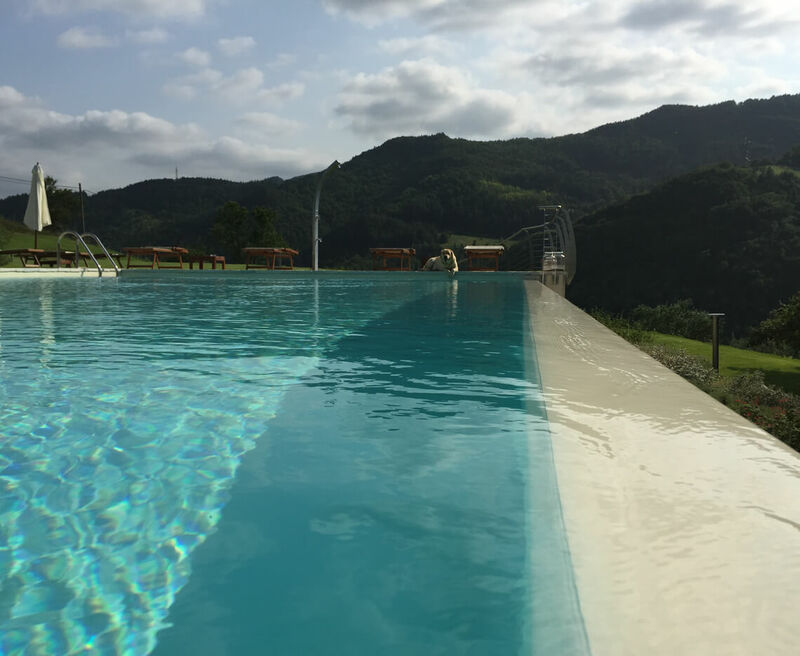 Due to the depth and dimensions of the pool, the presence of qualified personnel for bathers (lifeguard) is NOT mandatory: guests are therefore called to strictly comply with these regulations. Access to the entire area is prohibited to minors who are not registered guests of the Corte dei Mori. 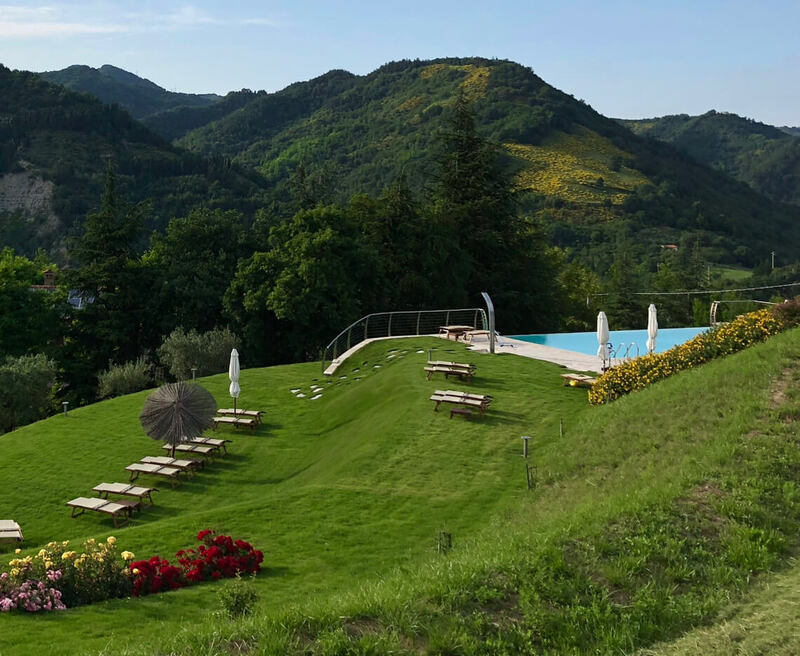 Minors guests of the agritourism can access the pool only if accompanied by their parents; in any case, the parents will be called to answer for any possible damage to the structure and to any other guests present. Failure to comply with these regulations is grounds for immediate removal from the facility without further notice. It is not allowed to consume your own food and drinks throughout the whole area. For the First Aid room, refer to the main structure.